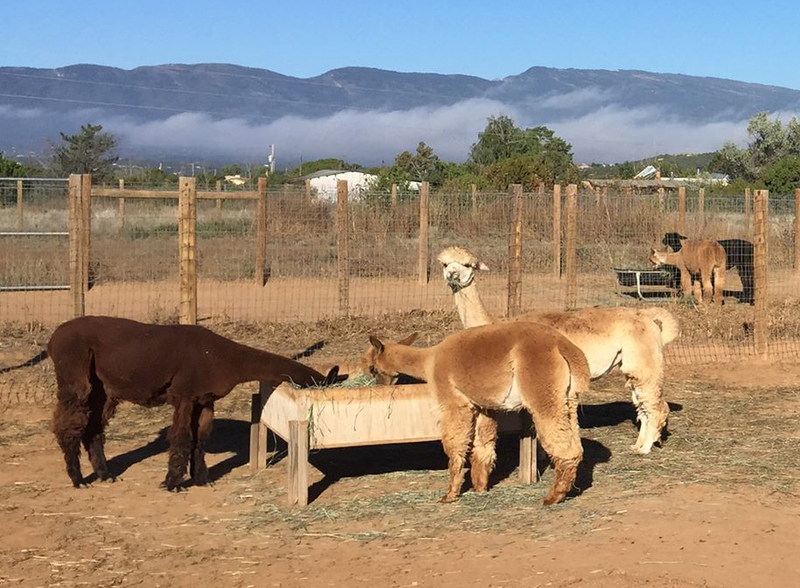 Welcome to Hollywick Farms in Sandia Park NM! PLEASE CALL US AT 505-286-1172 FOR FARM HOURS. As a working farm, we may have to close due to unexpected circumstances, including severe weather. We may also close for selected holidays and for special events. Our phone message will provide you with current hours as well as any planned or last minute closures. You can also find our hours and changes on our Google and YELP pages. Farm tours are free of charge. No appointment is necessary for groups of eight (8) or fewer. An appointment is required for groups larger than 8 people or for groups of persons with special needs. The last tour of the day begins 30 minutes before closing. Note: there is a public restrooms at the farm until late October. Check the weather for zip code 87047 using your favorite weather app for an idea on how to dress appropriately for your visit. New Mexico is notorious for its quick changing weather, so we suggest you dress in layers as the temperatures may be between 10 and 20 degrees lower than Albuquerque. We are a working farm, so make sure you have comfortable shoes, especially if you want to go inside the alpaca paddocks on your tour. Don't forget to bring your camera so you can have a record of your visit. We regret that we cannot accommodate pets or service animals as they frighten our alpacas, putting the alpacas and other visitors at risk.